While the VR goldrush seems to have subsided for a majority of the gaming industry, horror games in VR are still going strong. What’s more, the Playstation 4’s VR system has continued to receive a slew of VR titles, ensuring a good value for its own VR ecosystem. The next big horror title coming to Playstation VR, The Persistence, will add a unique multiplayer aspect with its recently announced companion app, which should set it apart from the rest of the crowd. 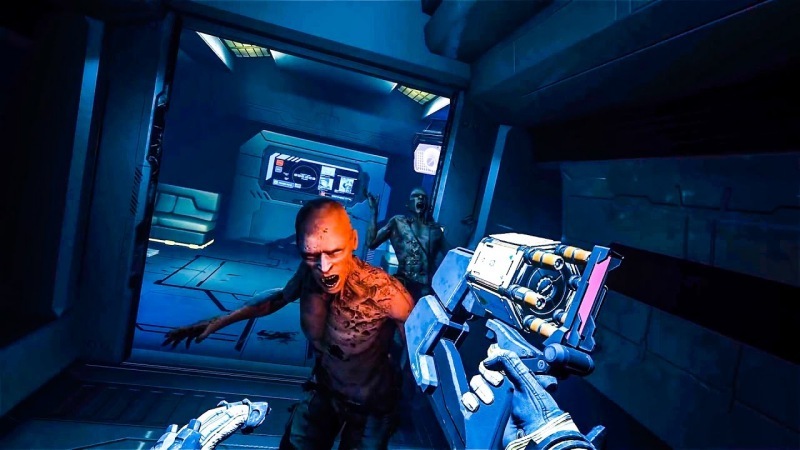 In The Persistence, players take control of a cloned security officer trying to survive in a spaceship overrun with monsters. Every time the player dies, the environment changes, making this something of a cross between an Outlast-style horror game and a rougelike. As interesting as that sounds for a VR horror game, the companion app grants additional depth by allowing up to four players to control the game’s environment to either help or hurt the player. Using the app, which will be made available on Android and iOS systems, players can “hack” into the ship’s security systems and manipulate the environments and enemies, and even help the player get new powers to survive in the process. But those same players can also draw enemies towards the player, turn out the lights, and will receive bonuses if the player dies. It’s an interesting prospect, and adds a layer of social strategy that isn’t usually seen in VR. With up to five people either working together or against each other, it seems The Persistence could end up being just as compelling a party game with friends as a single player experience. It will be interesting to see how the app’s implementation plays into The Persistence‘s lifespan, and if any other developers take cues for more social VR horror games in the future. The Persistence hits Playstation VR on July 24. You can check out a gameplay trailer right here.